It&apos;s hard to believe that the Victoria&apos;s Secret Fashion Show is still a thing—but it is, along with the annual "Fantasy Bra," most recently donned by Swedish model Elsa Hosk. But I&apos;m not the target (male) audience, so I&apos;ve been looking more at Elsa&apos;s face—not the bra!—in some recent photos. And I couldn&apos;t help but notice some recent changes. In fact, the 30-year-old&apos;s features have been a hot topic on this website for a little while now. I swear, whenever I publish a picture of her from the red carpet, there&apos;s inevitably talk about her nose. Let&apos;s take a look at Elsa&apos;s beauty evolution to see what, if anything, is going on here! Elsa Hosk as a teenager. Our first photo is from Elsa&apos;s teen years, back in the early 2000s. Her eyes are so incredibly striking—it&apos;s clear even here that she&apos;s "model material." We can see that she&apos;s a natural blonde, and had a fair amount of freckles across her nose and forehead. Also note her original lips and nose. Elsa Hosk in a 2010 shoot for Free People. By age 22, Elsa&apos;s modelling career was starting to take off. She looks so pretty and fresh in this shot! Her hair is now a warmer blonde (with better-matching eyebrows). Her nostrils look a bit asymmetrical here, but it may be the lighting. Elsa Hosk in a 2011 shoot for Marie Claire. Elsa Hosk at the 2012 Victoria&apos;s Secret Fashion Show. By 2012, Elsa was a regular in the Victoria&apos;s Secret Fashion Show... and it looks like that coincided with a little cosmetic tinkering. While her nose seems smaller, her cheekbones appear more pronounced—but that may be from the rigorous dieting and exercising that Angels always do before each show. Elsa Hosk at the 2013 Victoria&apos;s Secret Fashion Show viewing party. Elsa Hosk at the 2014 amfAR New York Gala. In 2014, Elsa brightened her blonde hair... but something went wrong with the colour of her eyebrows! While this orange hue would make most of us look crazy, she still looks as gorgeous as ever (how unfair!). This is when her habit of overlining her lips started, but the size appears untouched... I think. Elsa Hosk at the 2015 Fresh Air Fund Salute to American Heroes. The following year, Elsa continued with the lip liner, and went even lighter with her hair. (Brows aren&apos;t quite right yet, though.) I&apos;m glad to see that she didn&apos;t laser off her freckles. This has to be my favourite picture of Elsa—she looks like a doll! Now she&apos;s got a slightly brassy hair colour, which she pulls off well with properly darkened brows and peachy makeup. I especially love the black cat eyes. Her upper lip is swollen, so this is the point when I think she started dabbling with lip injections. Elsa Hosk at the 2016 launch of the Victoria&apos;s Secret Easy Collection. Elsa Hosk at the 2017 CFDA Awards. For this 2017 event, Elsa went for a different look, wearing her hair up with a bright red lipstick. The latter makes it hard to tell what&apos;s happening with her lips, but one thing is obvious—her nose seems smaller than ever! I think it&apos;s because of the highlight on the tip... Victoria&apos;s Secret models seem to like that look, and I&apos;m not sure how I feel about it. Elsa Hosk at the 2017 Victoria&apos;s Secret Fashion Show viewing party. And then things took a surprising turn at the end of 2017. I actually had to double check that this was Elsa, she looks so different here! 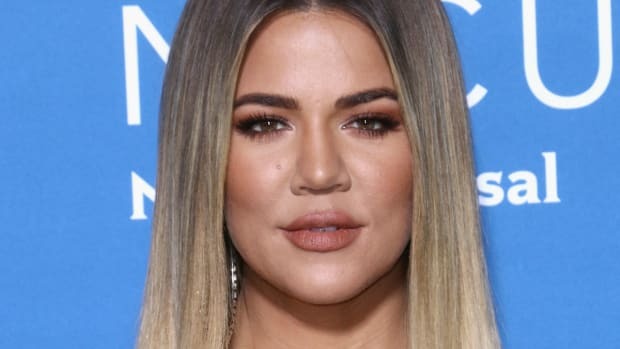 Obviously, her lip fillers are VERY excessive—giving her one of the worst trout pouts I&apos;ve seen to date. She doesn&apos;t even seem to be able to smile normally! Elsa is one of the most beautiful women in the world, but with these lips, all you see is the bad cosmetic work. I think the filler may be in her cheeks as well. Filler doesn&apos;t last forever, thankfully, so things had calmed down a bit by the spring of this year. Her lips still look bee-stung, but at least they&apos;re not freakish. Elsa also changed her hair, chopping off a few inches and going from yellow to icy blonde. Elsa Hosk at the 2018 Revolve Awards. And that brings us to the most recent photo of Elsa—another one that made me do a double take! Obviously, her lips have been generously plumped up with fillers. To me, they look quite fake and out of place with the rest of her features. Her one eyebrow is super-high here and in 2017, which may be an indication of Botox (the "Spocking" phenomenon). We know she&apos;s been on a strict diet and exercise regimen, which I think is giving her a bit of a "bobblehead" quality. Elsa Hosk as a teenager (left) and in 2017 (right). Elsa Hosk in 2011 (left) and in 2018 (right). So, it&apos;s plain as day that Elsa&apos;s been enhancing her lips with injectable fillers. That much is clear from these before-and-after comparisons! With her nose, I think it&apos;s a little harder to tell if you&apos;re just looking at the profile view. But thank goodness for the 2011 magazine shoot. Front-on, we can see that there&apos;s been a distinct narrowing of her bridge and nostrils—an aggressive narrowing. 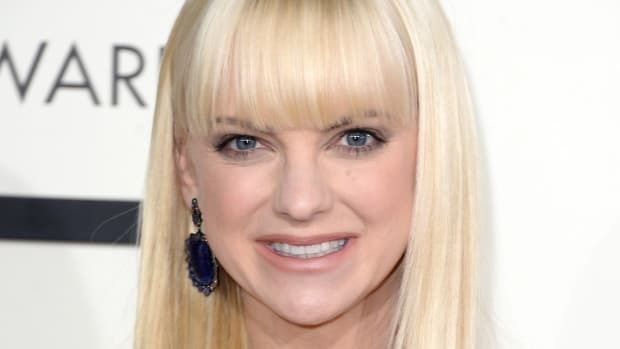 It&apos;s actually making her tip very pointy when she smiles (in 2013, for example), so I think her surgeon took away too much. Mother Nature just doesn&apos;t make noses this tiny! Another thing I didn&apos;t notice until these photos were side by side: it definitely looks like she&apos;s been using Botox for some time to create more of an arch in her brows. I&apos;m surprised she walked the runway with that one quizzical brow! Let me know your thoughts on Elsa&apos;s transformation! How do you feel about Elsa&apos;s beauty evolution?